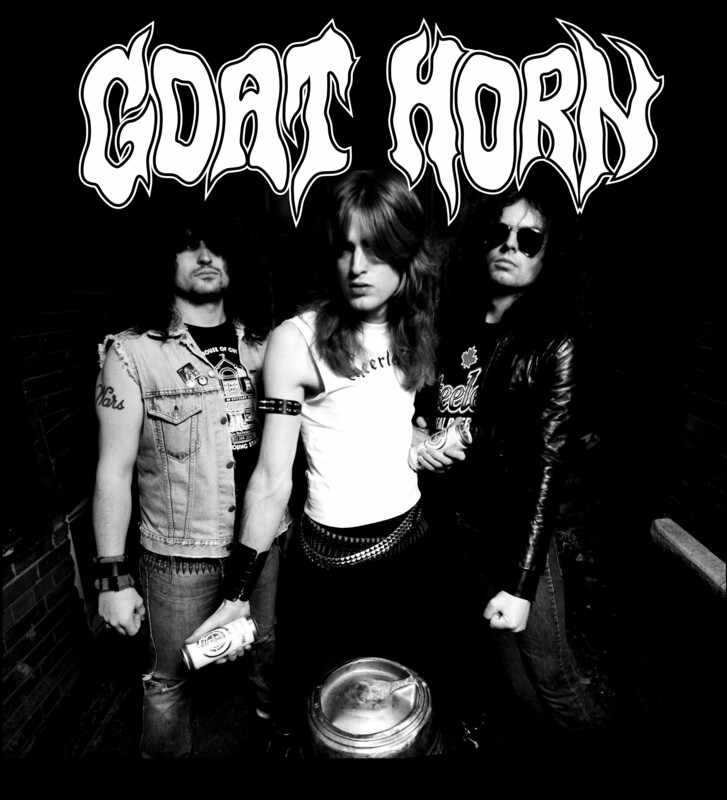 Goat Horn is a heavy metal band founded in Pembroke, Ontario, Canada in late 1999. The band is composed of Jason Decay (lead vocal / bass), Brandon Wars (guitar) and Steel Rider (drums). Goat Horn arose from the depths of the Ottawa Valley, in small-town Pembroke, Ontario, Canada in late 1999. Decay, Wars, and Rider had all been in and out of bands on the local scene before forming Goat Horn. What began as a mutual jam for Cathedral and Priest covers quickly became a serious matter as Goat Horn naturally elaborated upon their one-note, slow-as-molasses tunes.Their music is influenced by ground-breaking metal bands such as Venom, Raven, Eudoxis, and Celtic Frost. With the release of their 2001 debut, Voyage To Nowhere, Goat Horn became the main focus and priority of each member's musical endeavors, and they found that they were able to produce typo-riddled bios of CRUSHING DOOM to post on the Inertnet. Voyage to Nowhere was recorded in a one-day session in February 2001, and conveys more of the original feeling created from the early Goat jams. It was released to strong reviews, both on disc and live, which generated a buzz within the Metal community about Goat Horn's promising future. In September 2001, Goat Horn relocated to Toronto, gaining more exposure and proving themselves as a threatening force to be reckoned with. The majority of 2002 was spent infecting Ontario / Quebec and the northern States with Goat Horn's live assault. During the winter of 2003, Goat Horn re-entered the studio to prepare their ferocious sophomore attack. 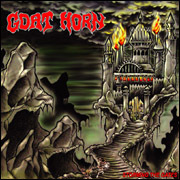 June 24th, 2003 saw the release of Goat Horn's second coming, Storming The Gates. 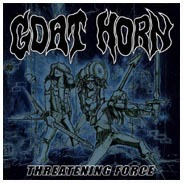 Goat Horn's newest album is entitled Threatening Force, and it was released earlier this year. As of June 13th, 2006 Goat Horn have officially disbanded. Lead Singer/Guitarist Brandon Wars parted ways with bassist Jason Decay and Al Biddle, who will continue in a new band Cauldron.